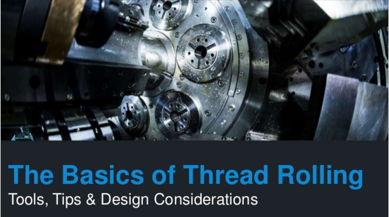 Learn About The Basics Of Thread Rolling With This Free Resource! What is thread rolling and what benefits does it provide? What are the important factors during material selection? What are the differences between thread length and roll length? To get more information about thread rolling, fill out the form to the right.